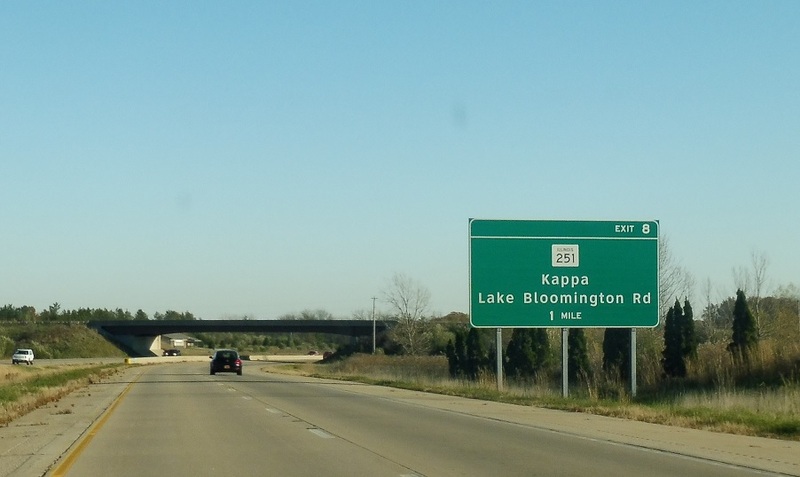 Reassurance shield after the US 24 interchange. 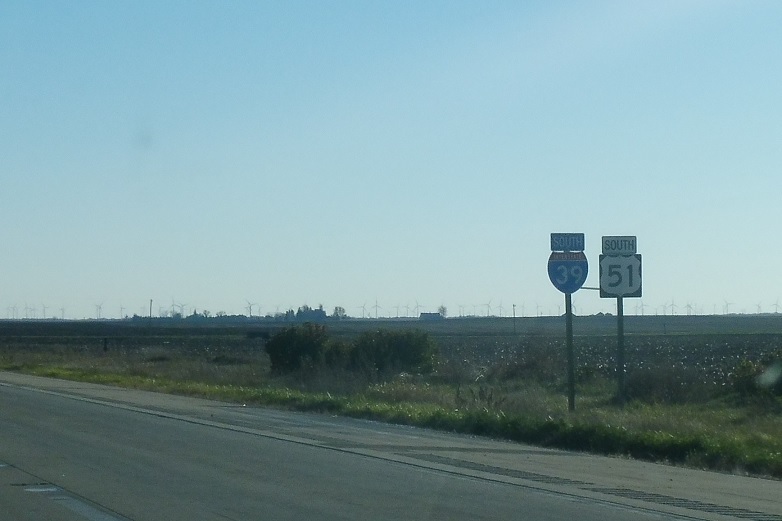 A few miles later we’ll come to the southern terminus of Illinois 251. 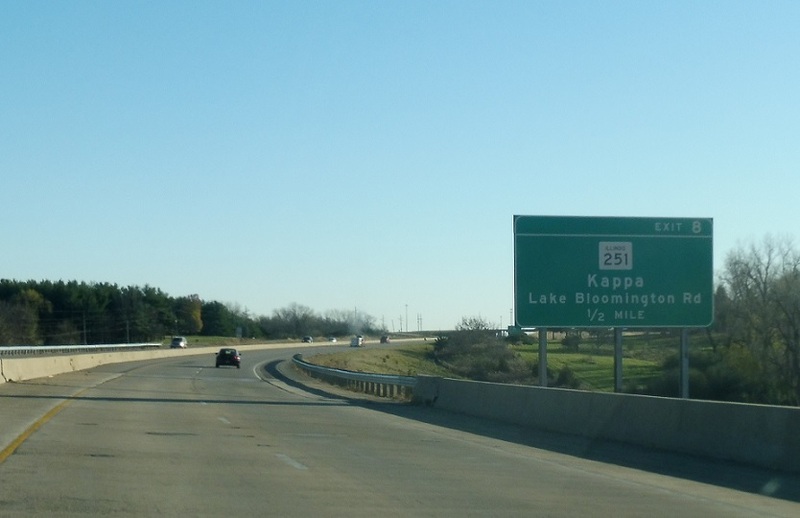 1/2 mile to IL 251, which follows old US 51 north to Kappa. 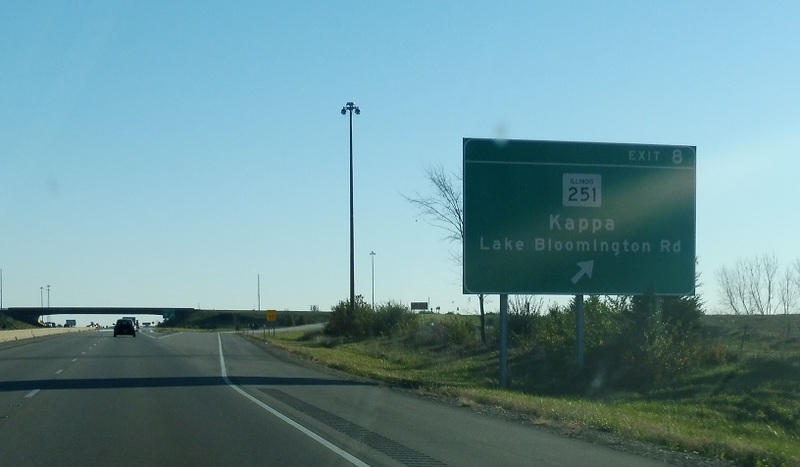 Exit for Illinois 251 north.